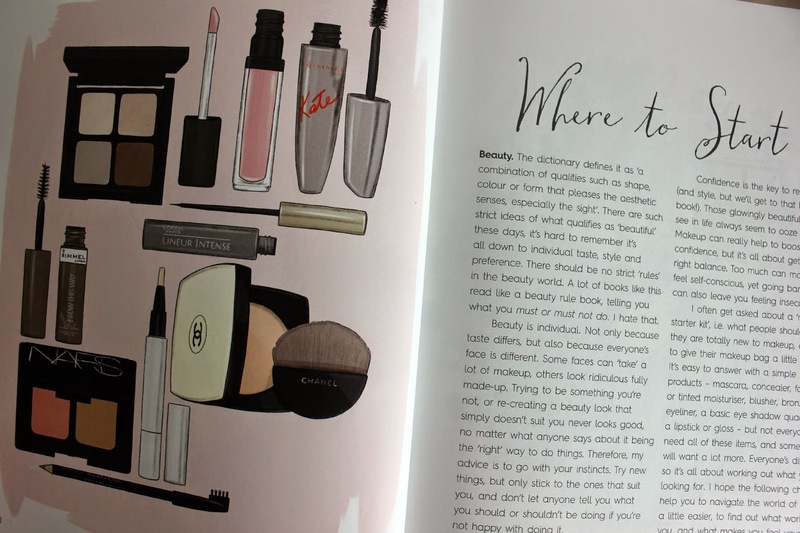 Ever since I finished Tanya Burr's 'Love Tanya', I moved straight onto Fleur De Force's 'Glam Guide'. It may seem like a bit of a Youtuber book obsession, but Ive loved both of them so much I thought Id do a review on Fleur's debut book! I also reviewed Love Tanya HERE if you're interested. As I know both books came out at around the same time and are slightly similar, both have Fleur's and Tanya's individual take on them. They are mainly just similar in chapters, as both adress similar topics in their own way. Fleur is a blogger and YouTuber, with 5 years experience under her belt, with both a main channel covering beauty to fitness and a vlog channel to take a peek into her everyday life. Fleur also has a Wedding Channel with her sister too. Along with Tanya, Fleur was one of the first Youtubers I watched. As well as one of the first I've met, which went a little wrong as all I could seem to say was "ahhblaghdkf" (starstruck right there). Fleur is lovely however and is always a pleasure to watch and read. The tips in her book, cover beauty, fashion, self confidence, YouTube and more. Fleur is very clear at the start of the book that not all of the tips will suit everyone. But the book is there as a guideline to what is recommended. I think it's great that, that is mentioned because sometimes you can buy something because its recommended and in fact it does nothing for you at all. Each chapter is started with a double page spread, with beautiful photography. It's also really easy to move onto each topic as its a very easy read. It may be packed with useful hints and tips but its not confusing at all. 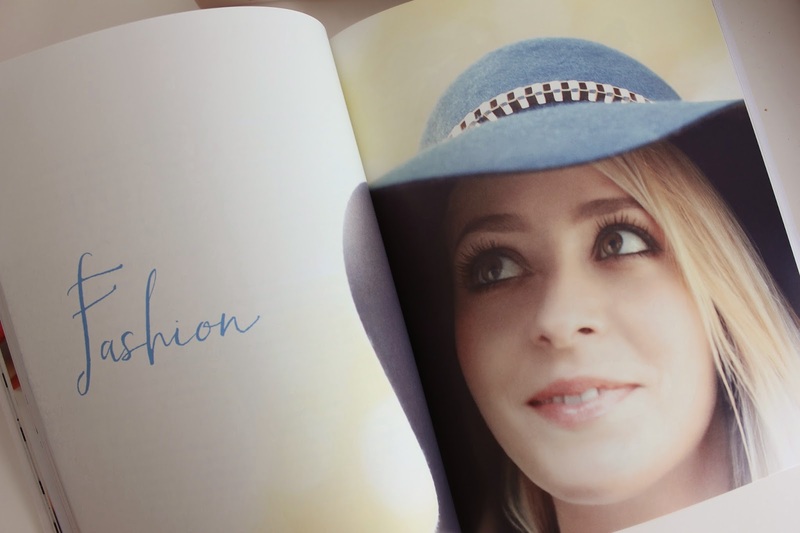 As well as the beautiful photography, illustrator Sally Faye Cotterill, drew pictures throughout the book of clothes, Fleur's favourite products and models. They stand out in the book and I just wish I could draw like that too! The book layout it's self is bright and very fresh, everything has its place. There is also little top tip boxes jotted throughout, with quick tips to help with the topic discussed. So many useful topics are discussed, which include finding your perfect pair of jeans. A colour wheel to see the colours that compliment your eyes. This also works well for stepping out of your comfort zone when it comes to mixing it up for outfits too. As well as discussing the glamorous aspects of makeup, skincare, hair and clothing. Fleur is very into healthy eating and fitness, so of course that needed a chapter. The recipes are all very simple and quick. I have never wanted granola and yogurt so much in my life... Fleur also explains the differences between smoothies and juices and the health benefits to them, as well as ingredients too. At the end of each chapter, there is a list of ten tips to summarise the topics. One of my favourite topics actually had to be the travel section, Im always really noisy about whats the best things for your carry on. I also loved the little chapter at the end about blogging and youtube, its really helpful if you're looking for equipment or how to get a good set up. If you're a makeup artist or enthusiast you may already know a lot about the first few chapters. But if you're wanting to learn more on the subjects in the book, this is fantastic. Even if you do know a lot about the chapters, I cant recommend it enough, especially if you're a fan of Fleur's too!